Be sure to check out Tuesday’s (1/8/19) special episode with Yankees first round draft pick, Anthony Seigler! It was a busy week in Yankees news! 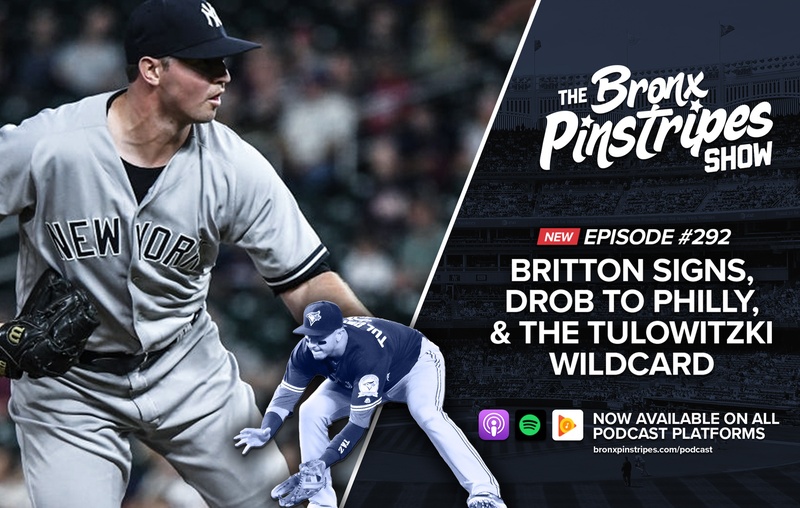 We discuss the Zach Britton contract and why it is a good move for both sides, David Robertson signing with Philly, why the Yankees did not try harder to keep DRob, how the bullpen will look in 2019 and beyond, what bringing in Troy Tulowitzki means, what we can expect from Tulo, and if it is worth the risk. We read listener New Year’s Resolutions and mailbags about trading Dellin Betances, Tulo, and way too early predictions for next year.